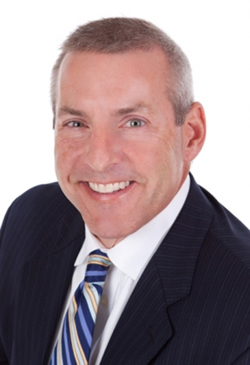 Ken has been a comprehensive fee-based financial planner since entering the industry in 1999. He is a CERTIFIED FINANCIAL PLANNER™ practitioner, concentrating on an integrated analysis of financial independence, estate planning, charitable giving techniques, investment management, business succession planning, corporate fringe benefits planning, tax reduction strategies, and personal / corporate risk management. He uses his knowledge, experience, and sophisticated support systems to determine the appropriate financial strategies for all clients, including business owners, executives, and retirees. Ken possesses excellent listening skills and understands that he cannot begin to design an effective achievable plan of action until he knows his clients' needs and wishes. Furthermore, he has the ability to communicate complex concepts simply, and takes personal pride in facilitating discussions that allow his clients to reach their own solution pathways after being given full disclosure of the benefits and consequences of each alternative. Ken's experience, active involvement in the industry, and continuing education provide a mechanism for the development of creative and practical strategies for all situations. His forthrightness and integrity lead his communication at all times. Ken has been consistently recognized for his advanced levels of service and production. He has been a President's Cabinet* Member (2011-present) and member (2005-present) of Sagemark Consulting Private Wealth Services**, a division of Lincoln Financial Advisors. Ken is also an invited member of The Resource Group (2016-present), which is made up of an organization of Lincoln Financial Advisor's top 200 advisors nationally. This network of financial planners allows Ken access to sophisticated solutions and education, and these resources provide personal legacy changing solutions and techniques. Ken is actively involved in a number of local organizations, including the Knoxville Estate Planning Council and The Legacy Centre. Ken earned a Bachelor of Science degree in 1992 from the University of Tennessee. He is an Investment Advisor Representative, holds Series 7 and 66 licenses, and obtained the CERTIFIED FINANCIAL PLANNER™ certification in 2002. *LFN President's Cabinet member, which is an internal award is based on sales as well as good standing with the firm and FINRA. 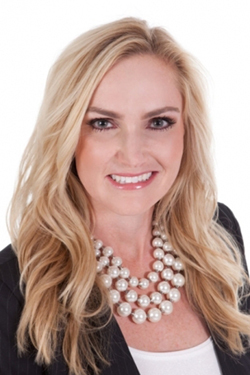 Tanya Vodila has worked as a Practice Manager for over 17 years with Lincoln Financial Advisors and has been with the StoneBridge Advisors team since 2014. She is FINRA registered with a Series 6 license which enables her to make mutual fund trades for clients. Originally from Aurora, OH, Tanya and her husband, Steve, reside in Kingston, TN. She is a mother of twin daughters and is an active member of Morrison Hill Christian Church in Kingston. Gloria graduated from the University of Tennessee in 1999 with a BS in Chemical Engineering. Upon graduation, she accepted a position at Merck & Co., Inc. in Albany, GA. She held various positions at Merck’s pharmaceutical manufacturing facility until her resignation in 2005 after the birth of her son, Lane. Her responsibilities there included oversite of day-to-day manufacturing operations, ensuring adherence to regulatory agency requirements, such as the FDA and the EPA, and coordination of relations between the plant management staff and the union elected officials for the hourly operating staff. After resigning from Merck & Co., Inc. in 2005 to be a stay-at-home mother, Gloria continued on this path until Lane was in school full time for 1st grade in 2011. At that time, Gloria decided to take on a full time role in the family financial practice, Sagemark Consulting. Since 2011, she has served as the Practice Manager for StoneBridge Advisors, and more recently, the Director of Business Development. Gloria holds Series 7 and Series 66 licenses, in addition to being Life and Health Insurance Licensed. She supports Ken Shipley to offer comprehensive financial planning services to individuals and business owners. Gloria believes that clients should walk away from StoneBridge Advisors feeling empowered with knowledge, confident of the decisions that have been made with their advisor, knowing that they received appropriate sound advice motivated by meeting the clients’ agenda and needs, and that our staff desires to serve them in an unparalleled manner. Gloria was born in 1977 in Kingsport, TN. She currently resides in Knoxville, TN. Gloria Shipley is a registered representative who supports Ken Shipley a registered representative of Lincoln Financial Advisors Corp. Securities offered through Lincoln Financial Advisors Corp., a broker/dealer (Member SIPC). Investment advisory services offered through Sagemark Consulting, a division of Lincoln Financial Advisors, a registered investment advisor. Insurance offered through Lincoln affiliates and other fine companies. Lincoln Financial Group is the marketing name for Lincoln National Corporation and its affiliates.